Good Morning. This is Capital Essence’s U.S. Market ETFs Trading Map – SPDRs Sector Report for November 8, 2017. Daily trend: QQQ is in bright green (strong buy). 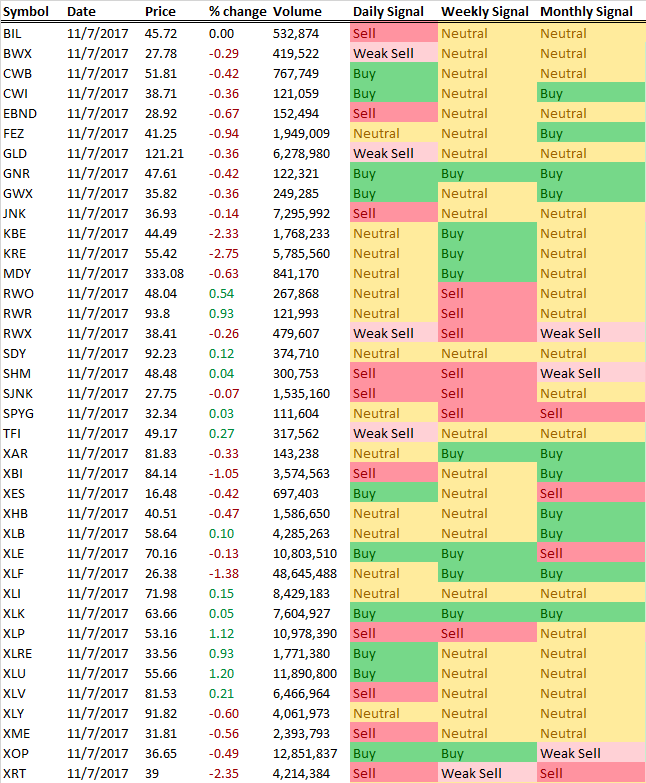 DIA and SPY are in green (weak buy). IWM is in yellow (neutral). 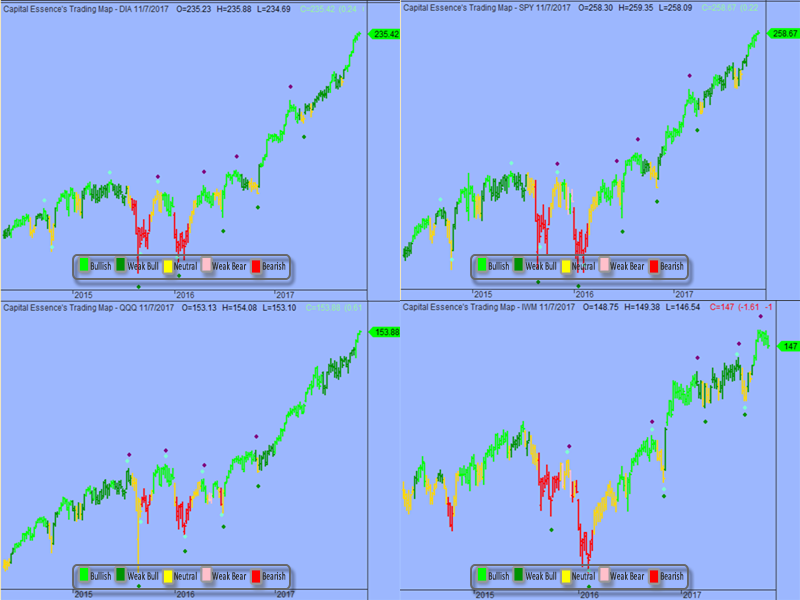 Weekly trend: all major indices ETFs signaled fully invested. DIA, SPY, QQQ and IWM are all in bright green (strong buy). 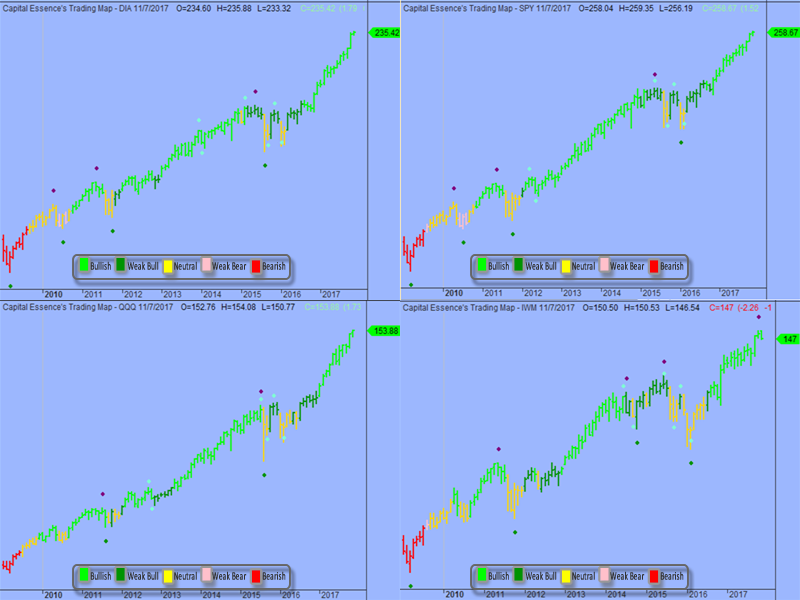 Monthly trend: all major indices ETFs signaled fully invested. 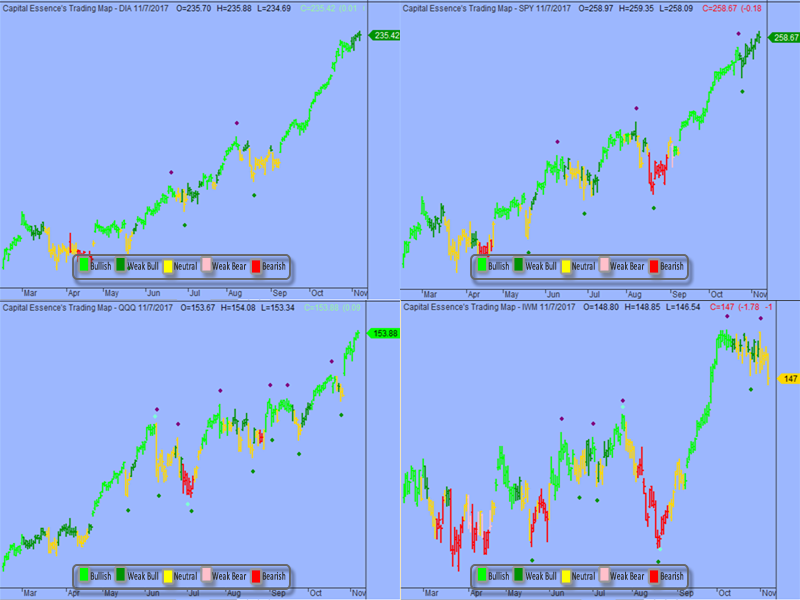 DIA, SPY, QQQ and IWM are all in bright green (strong buy).